What if Reliance acquires Hutch? All of them including the media,newspapers,bloggers and virtually everyone is tracking the Hutch acquisition. Who will acquire Hucth? Will it will be Rel Communications , Orascom , Maxis , Qatar Telecom or Vodafone? Even I am interested to know which company would it be? Accidently,I was watching “News on the Loose” on CNBC and there was a good joke which was very interesting. What will people say if RCL acquires Hutch? Hutch is acquired by a company (RCL owned by Anil Ambani) , whose Chairman(Mr. Ambani himself) does not even speak to his own brother(Mr. Mukesh Ambani) ,but is expanding his Tele-COMMUNICATION business!!!! An interesting contest on Startups.in/india , an attempt to raise awarness about entrepreneurship/startups among Indians. Now what you get if you win this contest!!!! 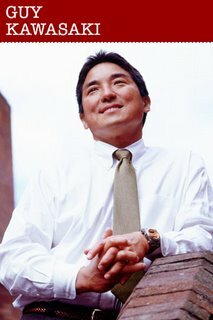 “Art of the start” book personally autographed by the great Guy Kawasaki. 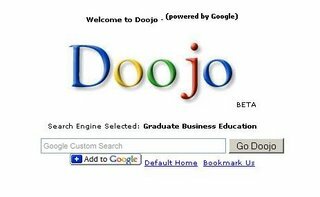 Recently,while Googling on the internet,I came across one more search engine called “Doojo”.From the first look , it seems it is a Google venture. 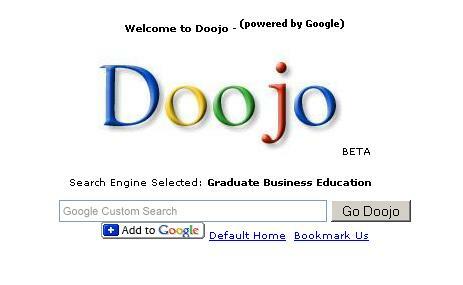 Now the question is “Why would Google use its brand name to create another search engine?”. But it is just an ordinary web page using Google custom search engine. The worry is with so many search engines in the block(both Indian and Non-Indian) , it is difficult to identify which is genuine and which is not!!! This is a good article from Businessweek.Are Entrepreneurs born with such risk taking qualities or is it the ego in them that create them. Is an entrepreneur different from the rest of the population or is he/she trying to be different?And does every entrepreneur be successful? greater tolerance for risk than the rest of the population, and yet your study found the opposite to be true. How so? A: While conventional wisdom assumes entrepreneurs have great risk tolerance compared to the rest of us, in controlled experiments that tracked attitudes to risk, we consistently found that they aren’t really that different. In some cases, the entrepreneurs are even more risk averse [than the norm], and yet they continue to bear risk. Entrepreneurs appear to be risk seeking with respect to their ability. For example, if there are two industries and one has a high cost of ability uncertainty and the other has a low cost of ability uncertainty, the entrepreneur will choose the first case because of his overconfidence. Even though the second industry has the same mean value, he would be considered just average [there]. While in the first, he thinks he can be Bill Gates. It’s that overconfidence in their ability that encourages them to be entrepreneurs. LG Electronics Inc. replaced on Monday,18th December 2006 , its chief executive and other senior officials in a management reshuffle that analysts say is aimed at bringing in momentum to its stalled handset and display businesses. The moves come as LG reported disappointing handset sales this year and struggles with falling flat-panel prices. Analysts are worried that fourth-quarter earnings could worsen from the third due to weak panel prices and the stronger won currency. Nam Yong, former vice chairman of LG Corp. and CEO of LG Telecom Co. Ltd., will become LG Electronics’ new CEO and vice chairman, the company said in a statement. Nam replaces Kim Ssang-su, who had headed the country’s top home appliance maker since 2003.LG Electronics also promoted James Jeong, former head of corporate finance at the company, to replace chief financial officer Kwon Young-soo. It also appointed Skott Ahn and Simon Kang as the new heads of its mobile communications and display businesses, respectively. Media reports said on Monday Kwon was set to take the chief executive role at LG Electronics’ loss-making flat-screen venture, LG.Philips LCD Co. Ltd. LG.Philips could not confirm the reports. “It appears the selection of Nam, former LG Telecom CEO, reflects pressure from the market to improve LG’s handset business,” said Kevin Lee, an analyst at Woori Securities. LG was the world’s fourth-biggest handset maker in 2005 but slid to the No. 5 spot in the third quarter, hit by fierce competition for price and design with Nokia and Motorola Inc. It was the largest plasma display panel (PDP) maker in the third quarter, overtaking 2005’s No.1 Samsung SDI Co., but is facing dropping panel prices and tough competition from liquid crystal display (LCD) technology. Finally, good news for all the Hutch users waiting for Blackberry!!! Hutch and Research In Motion (RIM) have announced the availability of BlackBerry for Hutch’s mobile customers in India. Hutch’s corporate customers will now be able to enjoy the BlackBerry solution that supports wireless access to email, phone, text messaging, browser, organizer and other mobile data applications. Designed for corporate customers, BlackBerry Enterprise Server integrates with Microsoft Exchange, IBM Lotus Domino and Novell GroupWise and works with existing enterprise systems to enable secure, push-based wireless access to email and other corporate data. Hutch also brings to its corporate customers the BlackBerry Mobile Data System (MDS) that provides a complete and optimized framework for creating, deploying and managing wireless applications for BlackBerry handsets. In addition to BlackBerry Enterprise Server, Hutch also offers BlackBerry Internet Service for individuals and smaller businesses. This service allows users to access up to ten corporate and personal email accounts (including Microsoft Exchange, IBM Lotus Domino and most popular ISP email accounts) from a single device. 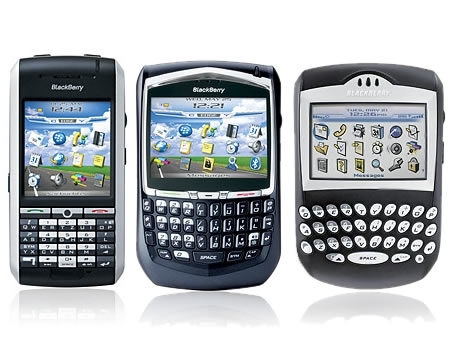 BlackBerry handsets immediately available on the Hutch network include the BlackBerry 7130g, BlackBerry 8700g, and BlackBerry 7290. 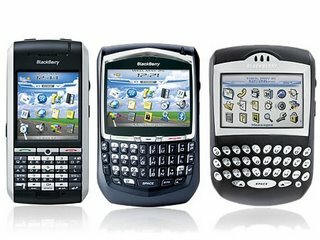 Hutch will also soon launch the new BlackBerry Pearl. 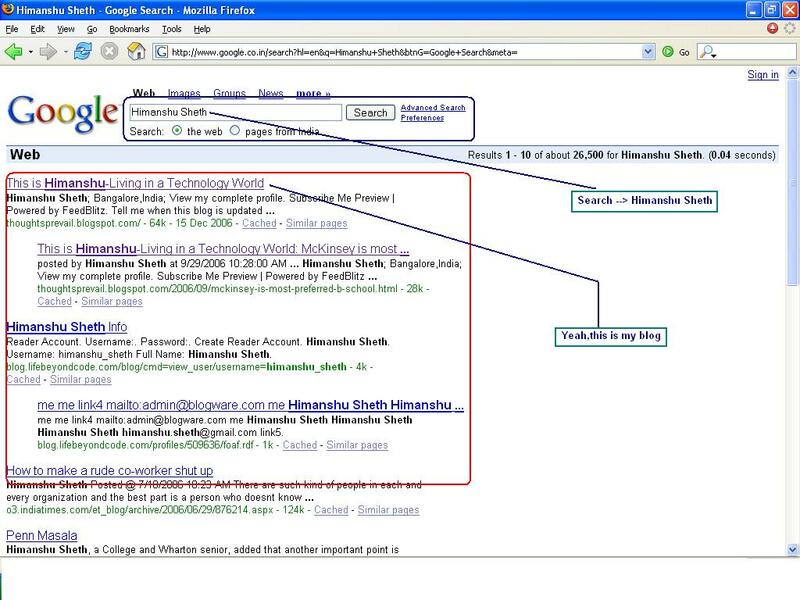 Yes,finally I have managed to come to the top of the Google Search list for search as “Himanshu Sheth”. 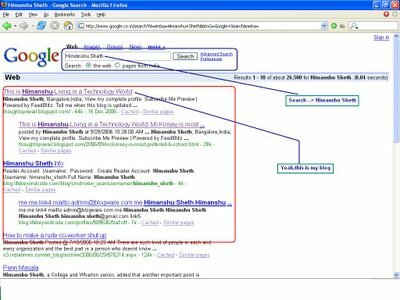 And also,when you use “Himanshu Sheth” as the search text and click on “I’m Feeling Lucky” , you will be lucky and would land into my blog.